INSTANT EQUITY - PRICED BELOW APPRAISAL!Custom-built, traditional estate situated on 6.83 ac w/ lush, established landscape & POND! Grand LR w/ voluminous ceilings, floor-to-ceiling windows, & cozy FP; open-concept kitchen w/ new, bfast area/keeping rm, bfast bar, & walk-in pantry; & fireside owners retreat. Terrace level is true in-law suite: driveway access to private 3c garage, LR, kitchen, laundry, 2 BR, 1BA, & ofc/gym. Fall in love w/ sellers attention to detail & immaculate care of this home. 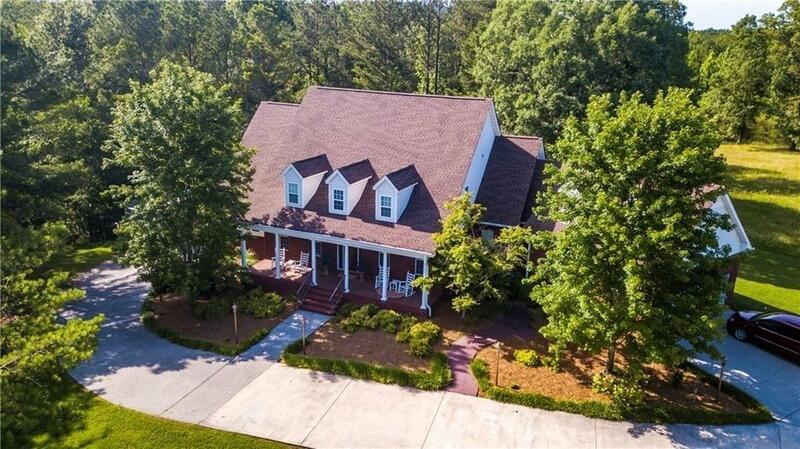 Secluded and private, yet minutes from I-75, schools, & shopping! Directions: I-75 To Exit 320. West On Highway 136 (Resaca Lafayette Road). Left On Russell Hill Road. Right Onto Russell Hill Estates Drive. 1st House On Right With Sign In Place.